Failure by President Robert Mugabe and Zanu (PF) to manage the long-ruling leaderâ€™s succession has brought changing complexities in the power battles that appear to have no end or solution in sight. Jonathan Moyo: used the state media to dismiss the growing belief that Mnangagwa was Mugabeâ€™s anointed heir. Zanu (PF)â€™s 2014 congress was purportedly rallied to establish a membership base solidly loyal to Mugabe through the so-called one centre of power. The congress, held in December, resonated with the slogan,â€ VaMugabe chete chete! (President Mugabe is the only leader!)â€. This one-centre-of-power propaganda was attributed to a broad Zanu (PF) coalition led by Emmerson Mnangagwa that effectively caused the removal of his bitter rival, Joice Mujuru, as Mugabeâ€™s deputy. She and her allies were accused of trying to topple Mugabe â€“ a charge theyÂ strongly denied. The Mnangagwa faction had at its frontline influential party members and strategists like Jonathan Moyo, then in charge of the information ministry, and Mugabeâ€™s wife, Grace, who did most of the defamatory talk against Mujuru. Also in that fold were Saviour Kasukuwere, now in charge of party mobilisation, Oppah Muchinguri who stepped down as boss of the influential womenâ€™s wing for Grace and Patrick Zhuwao, Mugabeâ€™s nephew. Mugabe seemed satisfied with the expulsion of Mujuru and her multitude of allies, hailing that as a sign that Zanu (PF) had rediscovered ways to unify itself.Â Apparently, the thinking that was foisted on him by those then aligned to Mnangangwa was that the removal of Mujuru from the political equation would kill one faction and thus remove factionalism from Zanu (PF). But Mugabe is slowly coming to grips with the unending headache of factionalism, with him and Grace recently publicly acknowledging serious divisions in the party. The anti-Mujuru coalition succeeded in its plot to remove Mujuru and her allies and managed to talk with the semblance of one voice, but that apparent unity is fast dissipating in the post-congress phase. This indicates deep-lying and complex differences with the ruling partyâ€™s internal succession politics, especially as Mugabe shows growing signs of helplessness as a leader and appears to be coming to the end of his long lap. Those that collectively led the coalition are splintering and have developed new ideas about who to align with and in what direction they must move in order to benefit from the party power cake that Mugabe is likely to drop ahead of the 2018 general elections. Jonathan Moyo fired the first salvo hardly a month after congress, when he used the state media to dismiss the growing belief that Mnangagwa was Mugabeâ€™s anointed heir by virtue of him replacing Mujuru. He repeated the same sentiment in May on BBC Hardtalk with Stephen Sackur. â€œI want to repeat this reference to him (Mnangagwa) as the next president is yours and itâ€™s a burden that you should unravel for yourself and not state as fact,â€ said Moyo. 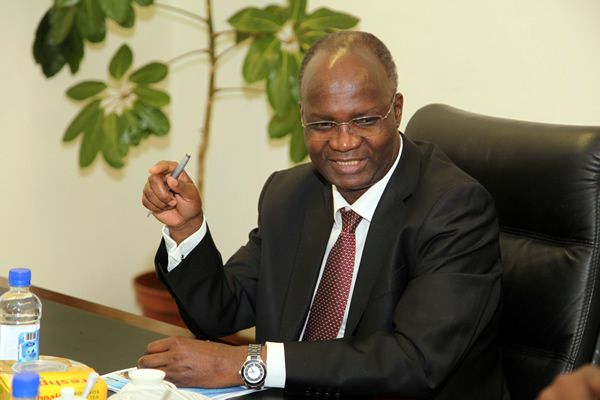 Mnangagwa might have been angered by Moyoâ€™s statements regarding his status as a potential successor as reports linked the former information ministerâ€™s â€œrelegationâ€ to higher education as having been done at the instigation of the party and national vice president. Of late, Moyo has been using Twitter to disparage Mnangagwa over his statement during an interview with Baffour Ankomah of the UK-based New African that insinuates that the late nationalist leader, Joshua Nkomo, was a sell-out. The loose-talking Moyo is said to be holding presidential ambitions and was at one time linked to a shadowy online campaign calling itself 263preeze. He has not publicly refuted the claim. As the intra-party alignment matrices shift, Graceâ€™s relations with Mnangagwa are reportedly getting tenser, after being advised that the vice president could take her for game in the post-Mugabe era. Late last year, speculation indicated that the two had become so close they were working together to persuade Mugabe to retire on his 91st birthday so that Mnangagwa would take over and find a power sharing formula with her. Unconfirmed reports indicate that Grace is now hobnobbing with a Zanu (PF) team of Young Turks, the Generation 40 (G40), who include Kasukuwere, Moyo and Zhuwao. Grace and Muchinguri are also rumoured to have ended their alliance of convenience and are reportedly not seeing eye-to-eye now, even though the reasons remain vague. As the factional complexities evolve, Kasukuwere and Mnangagwa are now estranged party members.Â Their differences played out publicly recently when a Mnangagwa loyalist, MP for Gokwe-Nembudziya Justice Mayor Wadyajena, used his position as a legislator to query Kasukuwereâ€™s deals and decisions when he was indigenisation minister. Another Mnangagwa loyalist and Zanu (PF) chief whip, Joram Gumbo who was recently made a cabinet minister, was roped into the spat as Kasukuwere insisted that the attack on him was politically motivated and he threatened the Midlands province (where the two hail from and in which Mnangagwa is considered the godfather) with unspecified action in his capacity as political commissar. Now there is talk that Mnangagwa has unleashed his faithfuls in the Central Intelligence Organisation (CIO) to sniff out Kasukuwere and his colleagues. The G40 group might have won Graceâ€™s trust because it insists that her husband must be their presidential candidate in 2018 for strategic gain while Mnangagwa is rumoured to be against the idea as he wants the baton for himself. While Grace has decided to align herself with the G40 club, this team remains shifty and there is a possibility that loyalties and alignments may change as time rolls on. Moyo could still ratchet with his own plans to contest as a presidential candidate while Kasukuwere may also have the same ambition; and Grace too, if media reports are anything to go by. Recent debate and exposes relating to the succession wars in Zanu (PF) have largely ignored the generals – but they may still have influence on who takes over from Mugabe. This applies to the army commander, Constantine Chiwenga, who has been linked to Mnangagwa even though there is clear evidence that Moyo and Kasukuwere have in the past shuttled to his office, particularly ahead of the 2013 general elections and immediately after. It is not clear who Chiwenga is now sharing notes with but reports in the past claimed he was not happy with Grace. The other generals, police commissioner general Augustine Chihuri, CIO director general Happyton Bonyongwe and prison and correctional services boss, Paradzai Zimondi have been reduced to lame ducks in office after being linked to Mujuru and were supposed to have been fired by now even though their contracts were renewed for another year. That means they might not have much influence in the succession politics, but they could choose to align themselves with one sub-camp or another in order to save their skins. The current nuances in the shifting wars may in a sense be interpreted as a culmination of the factional processes that have been evolving for a long as Mugabe dithers on his successor. Even as the party was grappling with the two main camps pitting Mnangagwa and the Mujuru loyalists against each other, there were pockets of other factions or camps that were angling to take over from Mugabe. Chiwenga has been named as one such hopeful, while a host of other individuals displayed ambitions to step into Mugabeâ€™s shoes. At the centre of this factionalism is Mugabe himself who, besides failing to manage his exit, has been used by the camps and ambitious individuals as the anointing authority, hence all the grovelling around him. It is the economic meltdown that will knock them all out! Zimbabwe’s economic situation is getting worse by the day and it is a matter of time before the regime accepts the situation is unsustainable.